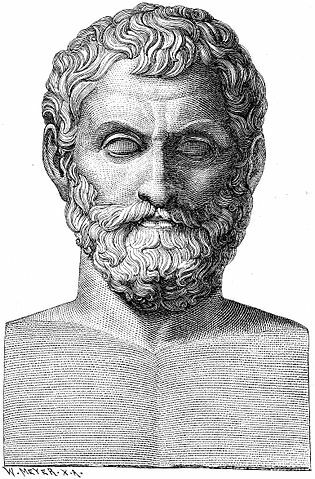 Thales of Miletus (c. 624 – 546 BCE) is remembered as the first philosopher known to history, but he was also the first scientist, or rather proto-scientist. An early leader in the enlightenment of Ionia, Thales dared to think that nature was explainable without the intervention of the gods, at least not personal gods. Looking closely at Thales’ ideas, historians of philosophy have noted that he seems to have thought that all matter was permeated with a kind of soul that gave it life. Known as hylozoism, this belief that inanimate matter was actually animate might be considered a kind of mysticism, but the overall worldview of Thales and the other Ionians who followed him was the most scientific, empirical outlook of its time. In Thales’ particular case, the hylozoism applied specifically to water, which he thought to be the origin and essence of all other matter. His hylozoism notwithstanding, leaving out the gods as a force in nature was a step in the direction of scientific thinking. While Thales did not reach the point of testing his ideas about nature through experimentation, one of his students, Anaximander, may have performed an experiment at some point and has been called the first scientist for doing this. So in a way, Thales was the grandfather of an ancient form of the scientific method. Often, philosophers have been criticized for being what could be described best by the Yiddish word luftmenschen — ‘people of the air’ or people who are immersed in intellectual pursuits, but to no pragmatic end, such as earning an income. But this was certainly not true of the philosophers of Ionia. Thales’ ability to found what became known as the Milesian School resulted from the fact that he put his brain to very practical use. Studying in Egypt and also being well-versed in the knowledge of Babylon, Thales was a gifted mathematician who is credited with about five theorems in geometry and he was good enough with numbers to make some useful predictions. As a young man, for instance, he was able to predict that there would soon be an unusually good season for olive growth, so he bought up every olive press that he could find. When the harvest actually did turn out huge quantities of olives, Thales, having a monopoly on the presses, sold the machines for great profit, generating for him some wealth. 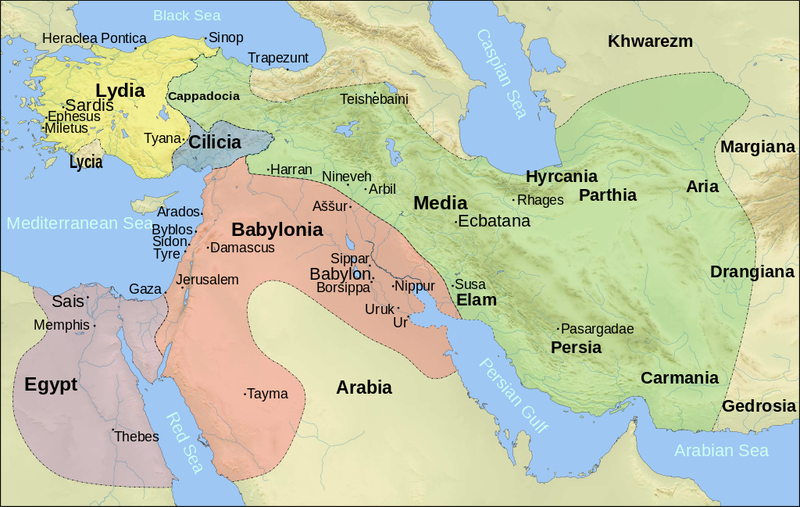 After earning his wealth, Thales started a project to bring about peace between two warring powers – Lydia and the Median Empire (ancient Iran). The year was 585 BCE, the end of May, and from Babylonian astronomical writings — or perhaps from meeting Babylonian astronomers in person — Thales had learned that eclipses of the sun and moon were separated by time intervals that could be calculated. 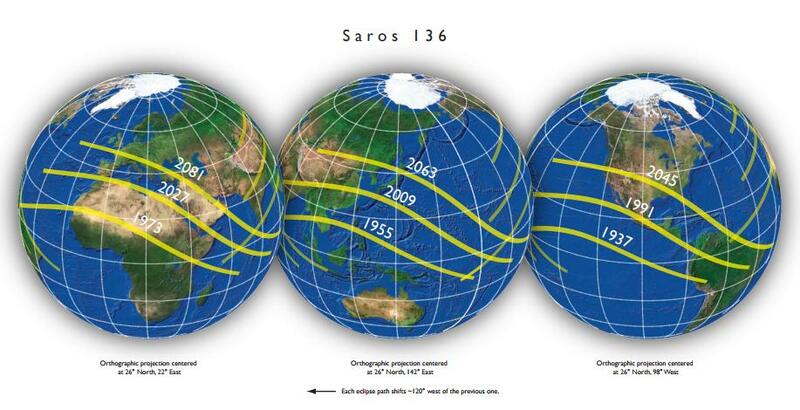 In astronomy, the repetitive nature of the eclipses is called a Saros cycle. It was a fairly new discovery in Thales’ time and the Babylonians were using the phenomena to predict lunar eclipses — when the moon is darkened by Earth’s shadow — fairly accurately because they had records going back many centuries. As for predicting solar eclipses, this is much harder to do with Saros cycles, because solar eclipses are much less frequent than lunar eclipses and don’t appear everywhere on Earth, so the Babylonian records left more uncertainty. Understanding Saros cycles and having the Babylonian records, a well-trained astronomer could make a good guess about a solar eclipse coming on a certain day but would have some uncertainty about the exact time, and lot more uncertainty about how far north or south the sky would be totally darkened. Thales predicted that a total solar eclipse was likely on May 28th, 585 BCE. He was confident enough to tell the military command of both Lydia and Medes that the gods were angry and wanted them to stop, and to prove their point they planned to darken the Sun. Due to his getting the math right, and probably also a little luck, the skies darkened on precisely the day of Thales prediction and the war came to an abrupt end. There was no Nobel Peace prize in those days, but Thales was a celebrity among the Milesians and other Ionians, who perhaps already had heard of his business success with the olive presses. Thales earned a following of students and the Milesian school of philosophy had begun. What was the curriculum? One unfortunate thing about Greek philosophers in the period of 600-400 BCE is that most of their writings have not been preserved to our time. Instead, we know about their work mostly through the philosopher Aristotle writing about them during the 4th century and also from fragments of their ideas quoted and cited by other ancient writers. In his notes, Aristotle would write something like, “Thales said [x] and I disagree with him, because of [y].” Aristotle would go through each of the philosophers of Ionia, Greece, and Italy, giving a summary and critique, as scientists today go through previous studies in a scientific manuscript. It’s clear that many of the early philosophers were aware of one another’s’ works because often they would respond with their own perspectives on the matter. Typically, there would be a response from one philosopher proposing an antithesis, a kind of opposite idea from what the first philosopher proposed. This was often followed by thoughts from a third philosopher, attempting to synthesize the two views of nature, taking what seemed to be the best ideas from both of the opposing views. What comes out from all of this is that Thales and the other Ionians spent a great deal of time hypothesizing what things were made of, but also various mechanistic explanations for how forces of nature worked. As an example, earthquakes had always been assumed to result of the actions of one or more of the gods. Perhaps Zeus kicked the Earth in anger or his brother, Poseidon, whacked the ground with his trident. But knowing of small islands made of floating materials in a part of the Lydian kingdom, Thales posited all of Earth’s land, the known continents, must be floating atop the water. As noted earlier, Thales thought that water was the source of all things, that everything was made of it. This idea developed partly from Thales’ hylozoism. Seeing ocean waves, the tides, and rivers like the Nile moving, he thought that water must contain some kind of animate force. Otherwise, how could a river move? Keep in mind that this was centuries before anyone would conceive of anything like the force of gravity, so looking at a river that was moving, a river that was powerful enough to move boats, it was natural for people to assume that the water itself contained some kind of energy. Seeing the Nile River deposit silt in its delta when he was in Egypt, Thales wondered if the continents had formed in a similar manner, gradually, over long periods of time — similar to the land formation mechanism of a Babylonian creation story, but without the Babylonian god Marduk controlling the process. 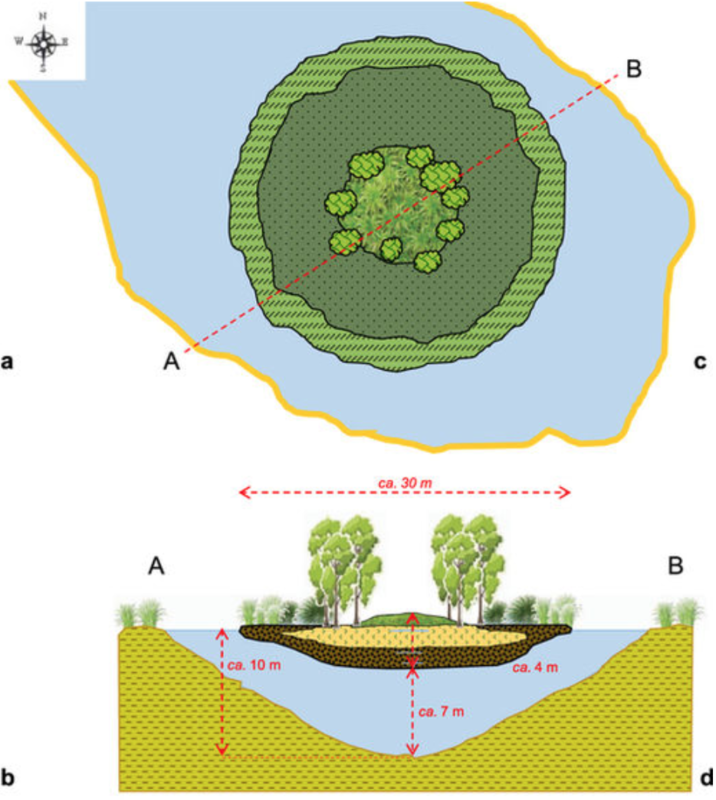 In Thales’ argument, the gradual deposit of land by water to build up floating continents explained not only how the world had come to be, but also why the Earth might quake. Just as a small wave in the Miletus harbor could rock a ship, then a much bigger wave hitting the coast would shake an entire continent, assuming that the continent was afloat. Of course, anyone looking carefully at the coastline, watching the ground and the striking waves, could easily disprove Thales’ earthquake hypothesis, but that’s the point. His approach to studying nature is more important than whether his explanations were right or wrong. That’s the message that Thales imparted to students. They did not need to agree with him on the specific about earthquakes, the creation of Earth, or anything else, even on the nature of the substance from which all matter was derived. As we shall see in the next post, Thales’ best student, Anaximander, rejected his mentor’s idea that water was the source of all things. Anaximander did embrace Thales’ overall strategy of explaining the world through material forces, however, as did all the other students in Miletus, but for one. That one student, a young man called Pythagoras, would part ways with the Ionian outlook altogether. Ultimately, he would leave the region of Ionia for the Greek colonies of Italy, where he would found a mystical school. We will discuss Pythagoras in a future article, but for now, we’ll stick with the Milesians focusing on Anaximander in the very next post.